The stories of Tang, Cadbury Dairy Milk and… Blank Cheques. Both of these iconic billion-dollar brands now belong to Kraft Foods, the American multinational confectionary, food and beverage conglomerate. I read an article in “strategy+business” – Booz & Company’s business journal– which outlined an unorthodox management technique that inspires team to achieve breakthrough results, and this strategy was applied to the above brands. I aim to share those insights through this post. The authors of the original article are Sanjay Khosla and Mohanbir Sawhney and it can be found here. A blank cheque is a metaphor for the freedom and creative license a team is given to determine for themselves the financial resources they need to achieve a set of agreed-upon goals within a defined time frame. Thus the strategy frees the team from standard corporate resource-constraints, inspiring them to dream and act big! After all, resource constraints not only limit plans; they also limit the creative potential of people. Kraft Foods believe that business leaders, instead of defining budgets and resources, should focus on defining ambitious goals, while leaving it to their managers and their teams to ask for whatever resources they need to achieve these goals. This way, managers would be limited not by resources, but by their imaginations. When teams decide their own budgets, they take ownership of the problem and are inspired to achieve the impossible. However, blank cheques are not warrants to spend without bounds, without guidelines, or without consequences. Teams have to define the resources they need- they must fill in the amount of the blank cheque. Furthermore, every blank cheque project needs to be in accordance with the company’s overarching business strategy. Every initiative needs to have the potential to produce sustained, profitable growth. The very concept of a blank cheque is to physically empower big ideas that drive a sustainable cycle and shift the business’s trajectory for the long term. Kraft India increased investment in Cadbury advertising and promotions by 45 percent. When Kraft Foods acquired Cadbury in February 2010, India became one of the 10 priority markets for Kraft. It had taken Cadbury more than 40 years to grow the business to $400 million by 2009. During one of management’s first visits with the regional team in February 2010, the leadership team offered Anand Kripalu, president of Kraft South Asia and Indo China, a blank cheque to make India a half-billion-dollar business by the end of the year — which meant accelerating the region’s growth plans for the year and increasing total sales by 25 percent. The Indian management team’s proposal called for expanding distribution, investing in sales, and increasing the marketing behind Cadbury Dairy Milk, Cadbury’s biggest brand in India. The team based these choices on their conviction that Cadbury Dairy Milk had momentum, offered attractive margins, and was material because it was the most important part of Cadbury’s Indian business. The team took the challenge and ran with it, innovating on several dimensions. When they evaluated distribution channels, for example, the team observed that in some retail outlets, Cadbury Dairy Milk was stored and displayed in “visicoolers” — special display cases that give Cadbury visibility at the retail location and keep the chocolate from melting in the oppressive Indian summer heat. The outlets that had visicoolers generated sales that were 15 percent higher than those at comparable outlets. On the principle of leveraging what works, the team decided to double the number of locations with visicoolers, from 20,000 to 40,000 retail outlets. They also doubled permanent in-store displays for Cadbury Dairy Milk, from 5,000 to 10,000. 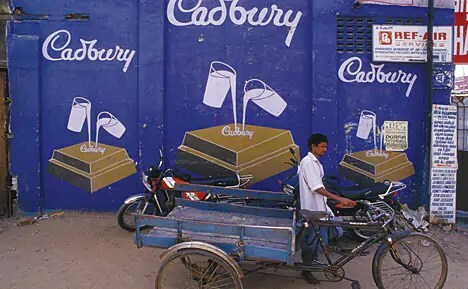 They expanded distribution into 2,100 additional towns and villages — bringing the total number of sales outlets to 550,000 in India — and increased investment in Cadbury Dairy Milk advertising and promotions by 45 percent. The team also looked beyond chocolate with the “Kuch Meetha Ho Jaye!” (Let’s have something sweet!) campaign, tapping into the Indian tradition of having a sweet bite before life’s most important moments. The idea was to expand the franchise into a larger market of sweets rather than just focusing on chocolate. The results were transformational. In 2010, Cadbury India had its best year ever, with almost 28 percent revenue growth — doubling its original growth targets and exceeding the $500 million blank cheque target. The momentum continued in 2011 with more than 30 percent growth. The best part? The team did not end up spending all the money they had asked for, and returned a significant portion of their blank cheque allocation. Doubling the Tang business in five years. Tang’s localised flavors are boosting sales. Photographs courtesy of Kraft Foods Inc. The developing markets leadership team decided to issue blank cheques to a team of Tang leaders in key global markets, asking that they connect locally with consumers in their market, but leverage the resources of the $50 billion global Kraft Foods organisation. The team came up with several innovations quickly. Using Kraft’s global technology resources, they developed locally relevant flavors for Tang such as tamarind and horchata (a traditional drink flavored with lime and cinnamon) in Mexico, mango in the Philippines, passionfruit and soursop (a local fruit) in Brazil, and pineapple and lemon mint in the Middle East. Although Tang’s original orange flavor tops the sales charts worldwide, these local flavors soon made up about 25 percent of Tang sales in developing markets. With the realisation that taste is king and children’s diets in developing markets are often deficient in nutrients, the team repositioned Tang as an affordable (pennies per glass), nutritious beverage fortified with vitamins and minerals. True to Tang’s heritage as a source of vitamin C, the team took the global idea of fortification and localised it to meet regional nutrition needs. For example, they fortified Tang with vitamin C in all geographies, but in Brazil and the Philippines, where children often are iron deficient, they added iron as well as other vitamins and minerals. The team also crafted a marketing idea for Tang to create a kids’ movement involving sustainability called the “Preparou, Bebeu, Faz” (Prep, Drink, Do) campaign. Tang is a very green brand — it takes less energy to produce and transport than other beverages because the water is added by the consumer — so the new campaign built upon the brand’s green equity. The team standardised the pouch size and structure across Latin America to reduce 3 million pounds of packaging annually. They took this green idea to places like Brazil and encouraged children to recycle. More than 90,000 kids recycled more than a million packages in Brazil within the first few years. The used packages are recycled into soccer balls, bags, and building materials whose sale raises money for schools. This kids’ movement has been expanded to other markets, including Argentina and Mexico. Inspired by the blank check, the Tang team used local innovation and global technology resources and a collaborative approach to achieve phenomenal results. Tang is Kraft’s newest billion-dollar brand. Its sales have almost doubled in five years, and it is now more than three times the size of its nearest competitor. In 2011, Tang was served 20 billion times in 90 countries. I feel that this is fascinating strategy; the blank cheque initiative seems to really foster and stimulate innovation, and provides organisations with leaner frameworks. A team undertaking the initiative is essentially a ‘startup’, and the company’s leadership team is the angel investor/venture capitalist- all in the same firm! This is definitely great learning for large firms, who aim to become more agile and innovative in their approaches. So through the power of blank cheques, even seemingly sleepy or struggling businesses can wake up and disrupt!